Altitude range: 2700-2800 metres above sea level. Habitat and ecology: The species is found in seasonally dry inter-Andean valleys together with Echinopsis obrepanda, Echinopsis comarapana, and Parodia columnaris. 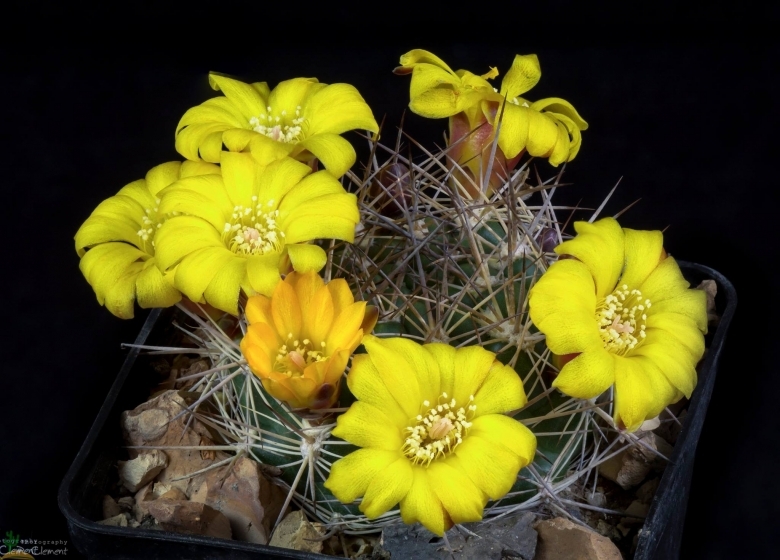 Description: Weingartia corroana is one of the morphological local form of the variable Rebutia neocumingii, the hemispherical body even in age with rather more woolly crown, somewhat fewer and stiffer spines, yellow flowers with green scales on the receptacle rather than red or orange-brown would appear to be the only differences from neocumingii, but others forms are similar and plants from other localities look more like it.